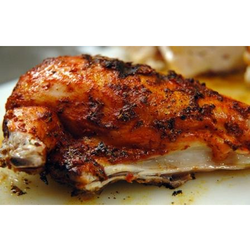 Our range of products include murga da masala, tandoori masala, honey mustard marination, lemon mustard marination, hot chilly marination and mexican marination. Ingredients: Coriander Powder, Cumin Powder, Spices & Condiments, Salt, Chilly Powder, Garlic Powder, Acidity Regulator (e330), Onion Powder, Sugar, Hydrolysed Vegetable Protein, Anti Caking Agent ( E 551). Applications & Recommended Usage: Add 10 Gms. To 10 Gms. Yogurt 50 To 100 Gms. Of Meat/Vegetable.Can Be Added To Flavour Mayo As Well. 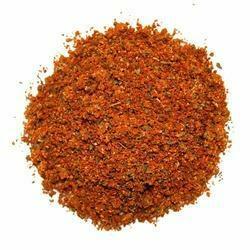 Description: Tandoori Masala Offers A Taste Charactering Of A Tandoori Masala With A Mild Smoky Note In The Background. (a Few Soft Lumps Are Permissible). Ingredients: Mustard, Dry Mango Powder, Salt, Gram Flour, Ginger, Malto Dextrine, Garlic, Red Chilly, Coriander, Fenugreek Leaves, Spices And Condiments, Hydrolysed Vegetable Protein, Anti Caking Agent ( E 551). Contains Added Flavour: Natural And Natural Identical Flavouring Substance. Applications & Recommended Usage: Add 5 Gms. Premix 4 Gms. Mustard Oil 25 Gms. Yoghurt. Shipping & Storage: Shipping And Storage Temperatures Should Not Exceed 40*C. Storage Should Be In Clean & Dry Place. Ingredients: Honey Powder, Pepper, Salt, Sugar, Mustard Powder, Acidity Regulators [ E 262 (ii), E 296 ], Hydrolysed Vegetable Protein, Malto Dextrine, Yeast Extract, Lemon Powder, Stabiliser ( E 415), Taste Enhancer (e 627 ), Softening Agent [ E 500 (ii) ], Anti Caking Agent ( E551 ). Contains Added Flavours: Natural Flavouring Substances. Applications & Recommended Usage: Marinations: Add 10 Gms. To 10 To 15 Ml. Of Hot Water And Mix Along With 75 To 100 Gms. Of Noodles/Vegetables Or Meat. Honey Mustard Mayo : Add 10 Gms. To 50-75 Gms. Of Mayo & Mix Till Well Blended. 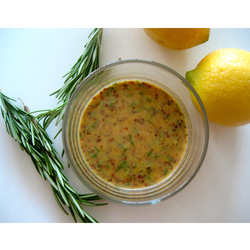 Description: Lemon Mustard Marination Offers A Typical Taste Characteristic Of A Lemon & Mustard Marinade With Mild Spice Notes In The Background. (a Few Soft Lumps Are Permissible). Applications & Recommended Usage: Add 10 Gms. To 10 Ml. Of Warm Water 1 To 2 Gms. Oil Add This Paste To 50 Gms. Fish/Meat & Bake In Oven Or Tandoor As Desired. 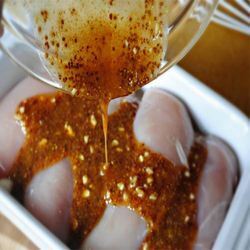 Description: Hot Chilly Marination Offers A Typical Taste Characteristic Of A Hot Chilly Marinade With Spice Notes In The Background. (a Few Soft Lumps Are Permissible). Ingredients: Salt, Spices & Condiments, Taste Enhancer (e 621, E 627), Yeast Extract, Sugar, Garlic Powder, Onion Powder, Acidity Regulator (e 330), Anti Caking Agent (e 551). Recommended For Infants Below 12 Months. Applications & Recommended Usage: Add 1 To 3 Gms. For 100 Gms. 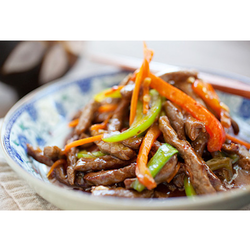 Of Vegetable/Meat. Ideal For Fried Chicken Application. Ingredients: Sugar, Garlic Powder, Salt, Coriander Powder, Onion Powder Hydrolysed Vegetable Protein, Lemon Powder,Spices & Condiments, Cumin Powder, Mint Powder, Red Chilly Powder, Pepper Powder, Acidity Regulators (e330, E 296), Yeast Extract, Hydrolysed Vegetable Fat, Taste Enhancer (e 627, E 631), Anti Caking Agent ( E551). Applications & Recommended Usage:Add 10 Gms. To 5 Gms. Oil To 100 Gms. Of Meat/Vegetable.Can Be Used To Flavour Salads, Beans Etc. As Well. 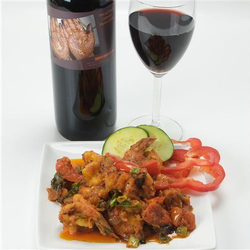 Description: Schezuan Marination Offers A Typical Taste Characteristic Of A Schezuan Sauce Base With Spice Notes In The Background. (a Few Soft Lumps Are Permissible). Ingredients: Tomato Powder, Sugar, Salt, Garlic Powder, Acidity Regulators [ E 262 (ii), E 330, E 296], Dextrose, Potato Powder, Starch, Taste Enhancer (e 621), Spices & Condiments, Stabilizer (e 412). This Package Of Schezuan Marination Contains Added Monosodium Glutamate. Applications & Recommended Usage: To Make Marination Paste Add 10 Gms. To 20 Ml. Of Hot Water & 1 To 2 Gms. Vegetable Oil. Mix The Paste With 50-100 Gms. Of Vegetables/Meat Etc. As Desired. 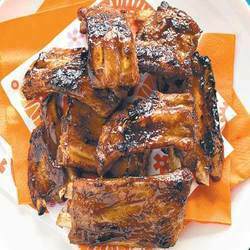 Looking for Spices Marination ?